There's a park behind our house and it just springs to life the very minute the sun shines. We are lucky to have a bit of garden where we can sit and bask in the sunshine and laze about while enjoying the plants and the trees. When everything is so fresh and the weather is warm, it is so nice to sit outside and just eat something light and refreshing. Scrounging in the fridge yielded some leftover roast pork and a few cooked prawns and crab sticks. 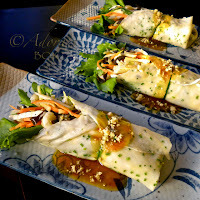 I could just add rice noodles and some fresh ingredients and bundle them up in rice paper sheets as spring rolls. Then I could sit outside and relax while popping tasty little spring roll morsels in my mouth. Lovely! Put the rice noodles in a bowl and pour boiling water to cover. Leave for 20 minutes, then drain. 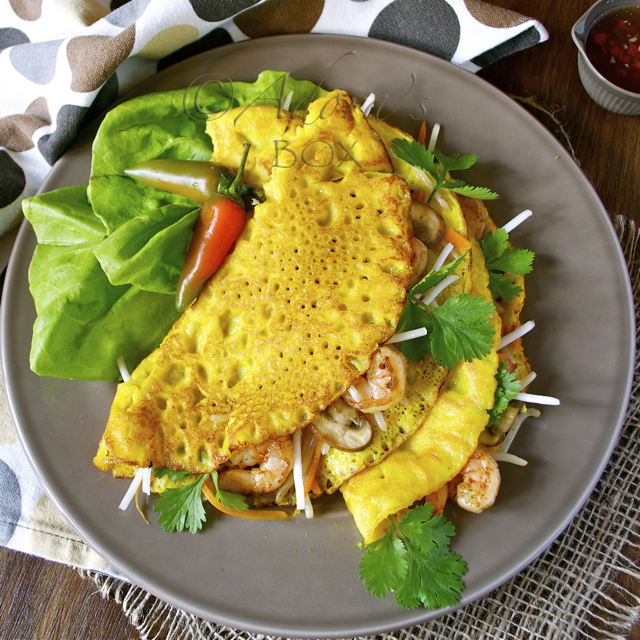 Place one rice sheet (do this one at a time so they don't stick together) in a dish with warm water for 1 minute. Make sure both sides are wet. Take out of the water and lay on a board. Lay some lettuce leaves, then add 1/8 of the noodles, some coriander leaves, 2 pieces of the sliced crabsticks, some meat and lastly top with coriander and mint. Roll very tightly. Cut into four bite sized portions each. Repeat with the rest of the sheets. This recipe makes 8 rolls. These spring rolls are making me hungry. Great picture and presentation and worth trying out. Very beautiful spring rolls! My family loves spring rolls...reminds me that I should cook one too (but my is Japanese version with more Japanese flavor dipping sauce)! I love fish sauce one, but just didn't know how to make one until you posted. So delicious! Oh, these look fabulous! What wonderful flavors...perfect for a summer evening! YUM. 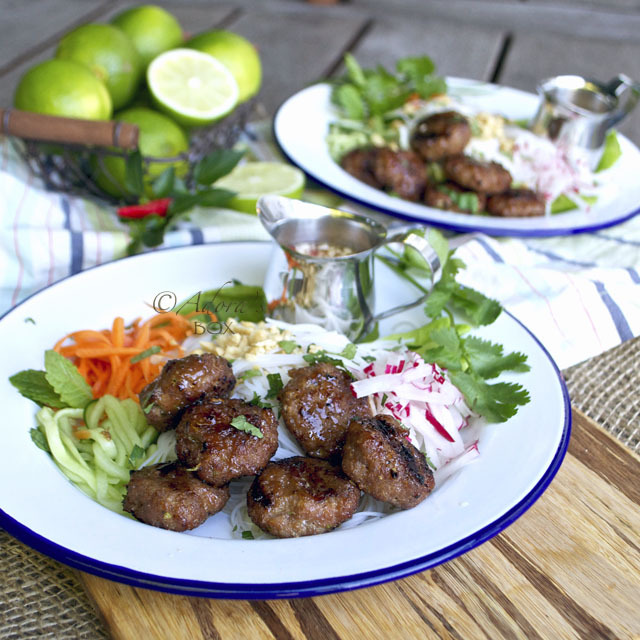 I have to applaud you on this recipe - it is innovation and looks amazing. I believe it's inspired some creativity in me. Oh my, Adora...your fresh spring rolls look so good! You did a very lovely presentation! I can't believe how gorgeous those are. I could eat the whole plate of them. I admit that I've never made spring rolls, but you make it sound like I could do it without blowing anything up. Thanks for sharing your recipe. Looks so fresh and inviting! Gorgeous picture too! The spring rolls look so fresh and lovely! I have tried making them before but my boys weren't a fan of them...of well i can make these for myself and not share! Looks great! 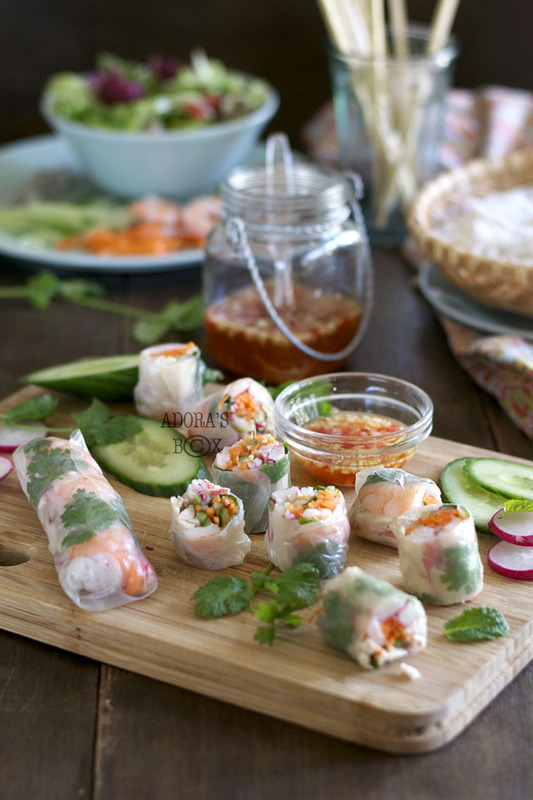 These spring rolls look perfect for a summer evening! Beautiful presentation! 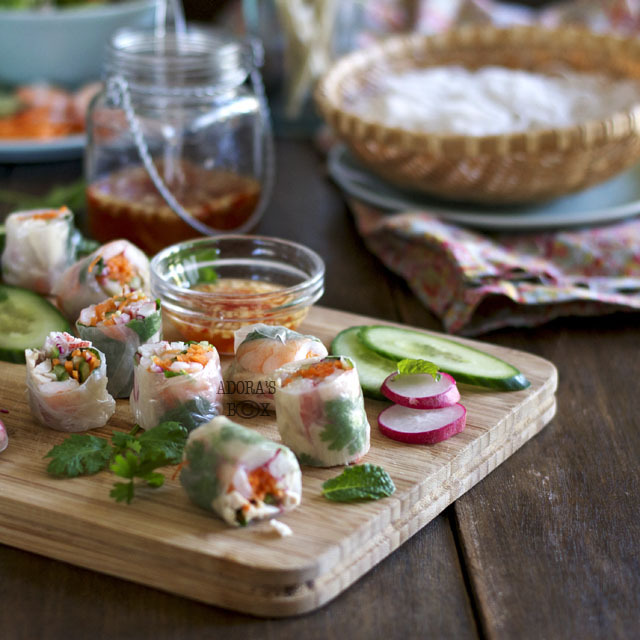 The spring rolls look lovely, very refreshing and perfect for summer! I usually make the traditional Vietnamese summer rolls with prawns and thai basil, etc. But this version sounds really good too :D). 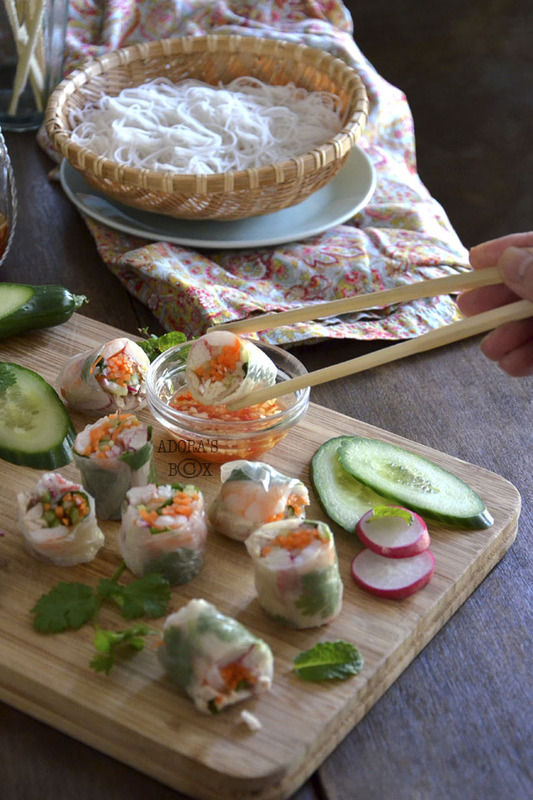 This is such a healthy option for spring rolls. 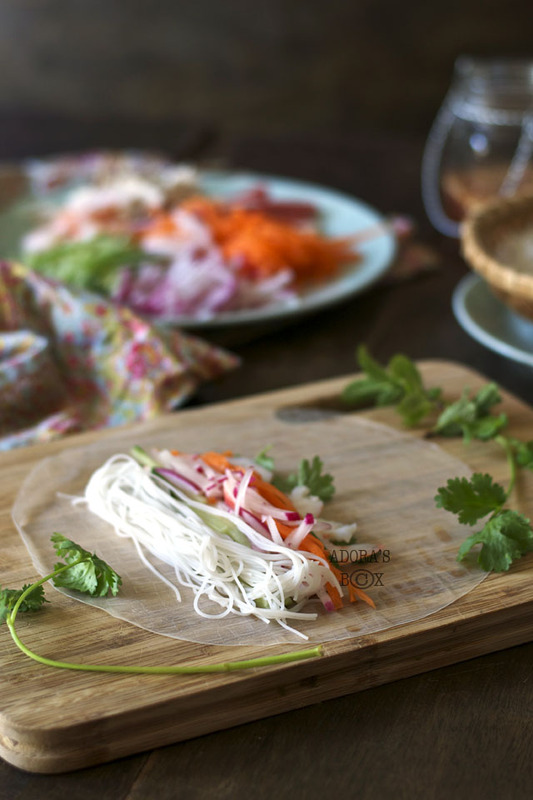 I have never used rice paper sheets but i want to try...are they hard to handle? Btw, that dipping sauce sounds so spicy and tangy...my type! Rice paper is not difficult to handle at all. Don't let it soften too much in the water. It will soften some more when you lay it on a chopping board. It is ready to use when it becomes pliable. Spring rolls are just so delicious! These look so beautiful and reflect the warmer weather perfectly!